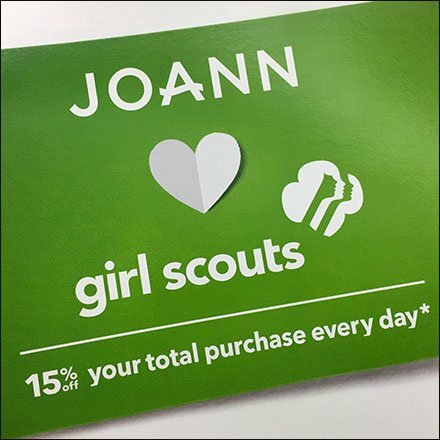 Yes we all do, but this JoAnn Loves Girl Scouts Promotion puts its money where its mouth is with 15% off the total purchase everyday. So no matter what practical or life-skill you are learning via the Scouts, JoAnn supports you. In addition JoAnn donates another 2-1/2 percent of the purchase to the Scouts, up to a generous $1.5 million. Just try to beat this JoAnn Loves Girl Scouts Promotion for generosity.